Beyond CRO: is the next step Customer Experience Marketing? At the Ecommerce Club’s latest Working Lunch London on 22nd March, we were lucky enough to hear from Adrian Moss at Monetate about the next step in personalisation, Customer Experience Marketing. Kingfisher reported its results with news that Screwfix had hit £1 billion in turnover, and that the company could provide the model for a transformation for the business as a whole. Game Digital is to put multichannel retailing at the heart of its strategy as it reported falling first-half sales and profits amid “challenging” trading conditions in the UK video games market. While overall sales were down, online traffic grew by 5.7 per cent year-on-year and sales of digital content were up by almost 10 per cent. DFS reported ecommerce growth of 17.7 per cent after a first half in which it focused on a strategy to grow by broadening its appeal, extending its UK presence and developing its omnichannel proposition. Laura Ashley has reported online sales passed the £50 million milestone in its latest financial year. According to parent company Majestic Wine the milestone was thanks to a focus on social distribution to provide ‘angel’ customers with exclusive access to quality wine, backed up by customer service. 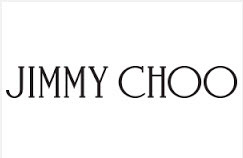 immy Choo has said it is preparing to roll out omnichannel systems throughout its business in the second half of its current year, as it reported revenue growth of 7.2 per cent on a constant currency basis. 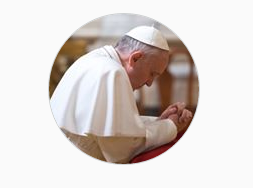 Pope Francis will be using the photo-sharing site under the name @Franciscus, Latin for Francis. This marks the latest initiative in new media by the Holy Father, who already has more than 25 million followers on Twitter in nine different languages. Ted Baker reported full-year ecommerce sales of £53.5 million, 45 per cent up on the previous year. Online sales now account for 15.4 per cent of retail sales, up from 12 per cent over the same period in 2015. The video, starring Sophie Ellis-Bextor, marked the launch of the television and ecommerce business’ new C. Wonder fashion collection. In the video, Ellis-Bextor snaps her fingers to transform her look, while shoppers can click on each of the eight looks to visit the retailer’s website and browse the collection. UK shoppers spent £8.9 billion online in February, 18 per cent more than they did a year earlier, new IMRG figures suggest. Waitrose is preparing to roll out a mobile self-scan trial, built on Quick Check, that allows customers to scan products on their mobile device, reducing the time they have to spend at the checkout.